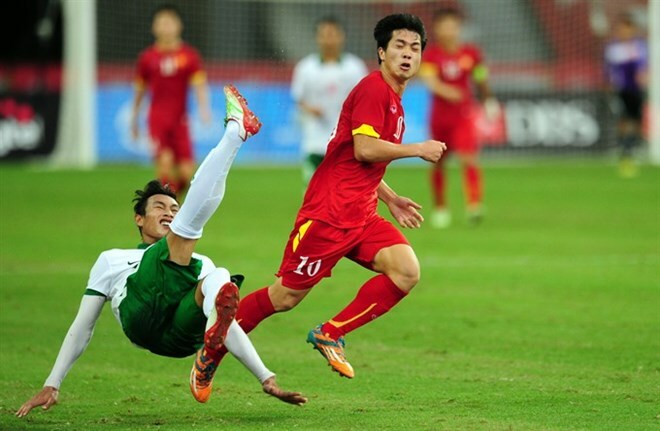 Hanoi (VNA) - Striker Nguyen Cong Phuong will lead Vietnam’s football team’s frontline, according to coach Nguyen Huu Thang who announced his 2019 Asian Cup qualification list in Hanoi last week. It is the first summons of the team this year and it is time for young players after veteran and experienced Le Cong Vinh and Pham Thanh Luong retired last December. Phuong, captain of Hoang Anh Gia Lai is one of 23 names that Thang called in prepare for the tournament which will be organised later this month. There are five forwards, seven midfielders, eight defenders and three goalkeepers. Among them 11 are under-23 with four freshmen. The players will all gather in Hanoi on March 20. Two days later they will warm up with a friendly match against Chinese Taipei at the Hang Day Stadium. The last qualifier has 24 teams divided into six groups. They will compete in a two-leg round robin format. Two best teams of each group will advance to the Cup final where they will meet 12 other rivals who have already qualified. Vietnam are in Group C with Jordan, Cambodia and Afghanistan. The team will travel to Dushanbe City’s Central Stadium of Tajiskistan on March 24 to train on a neutralised venue to make sure players’ safe. Their first match is against Afghanistan on March 28.